Pakistani coalition government has splintered, the Taliban have stepped up their brazen suicide bombings claiming more innocent lives in Pakistan, and new violent protests followed by Indian government crackdown in Kashmir are making the headlines. It has hardly been a week since President Musharraf's exit and the four-headed monster of political, economic and security crises within Pakistan and, rising tensions in Kashmir, is raising its ugly head. Who will slay this fire-breathing monster? How will a sense of security and stability be restored for Pakistanis? How will rising tensions in Kashmir be handled? These are the questions that are begging for answers. A powerful, competent and honest federal government in Islamabad is the first pre-requisite to bring about any semblance of good governance to solve the multi-faceted challenges of political instability, faltering economy, growing militancy, and rising tensions in Kashmir. With the strong and committed support of the Pakistani military for the current civilian government, the first attribute of "powerful" is possible and seems likely to be achieved, in spite of a fractious parliament. However, being powerful is only one of three requirements for Islamabad to be effective. The second and third pre-requisites of competence and honesty will most likely be in short supply with Asif Ali Zardari as the choice of the PPP for the president, and Yousuf Raza Gillani as the prime minister. The growing militancy by the Tehrik-e-Taliban in Pakistan is going to be a huge challenge for both the government and the people of Pakistan. While a ban on Taliban is a good start, it is no more than a token. As the world holds Messrs Zardari and Gillani responsible, the chances of success against the Taliban will really depend on whether the vast majority of Pakistanis stop being ambivalent about the Taliban and join the fight against them. The new leadership team of Zardari and Gilani must use all its resources and powers of persuasion to rally the people of Pakistan against the Taliban and their dastardly campaign of murder and mayhem on the streets of Pakistani cities. People need to be reminded that the 4000-plus victims of "jihad" in Pakistan over the last year have been Muslims with no connection at all to America. People need to understand that the Taliban are waging an armed struggle to remake society. They will keep fighting this war even if America were to miraculously disappear into thin air. The people of Pakistan need to be convinced that the Taliban perpetrating massive atrocities in the name of Islam are criminals and thugs. They are no friends of Islam, Muslims or Pakistan and they must be stopped, not for America’s sake, but for the sake of Pakistan. The anti-American attitudes in Pakistan must not be allowed in get in the way of fighting the terrorists who target innocent Pakistani civilians to achieve their nefarious political aims. Please read my post about the Taliban's atrocities to get the full picture of Taliban’s ambitions, people's ambivalence and the ineptitude of our current leadership. Pakistan's economy has returned to the bad old days and the rupee has been hitting new lows since the assumption of power by the current civilian government. It is of utmost importance that the Pakistan economy be revived to address the basic challenges of livelihood, food and energy. The best way to accomplish this task is to restore some sense of political stability and to recruit a competent team of experts on economy and empower them to develop and carry out the nation's economic agenda. 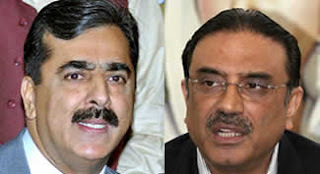 Asif Ali Zardari and Yousuf Raza Gilani are carrying a heavy burden. They must be supported by the people of Pakistan in dealing with the extraordinary challenges the nation faces today. It is also important they prove their critics wrong by slaying the four-headed monster trying to devour Pakistan. They must not let history repeat itself by letting down Pakistanis. The future of Pakistani nation and the fate of democracy in Pakistan depend on how well they perform. "I want to take Nawaz on board as there are immense difficulties ahead. Perhaps I cannot tell the whole truth to the nation," Zardari said today, according to media reports. I agree that this is a time for a national unity government to deal with the biggest security threat Pakistan has faced i recent times...the threat from the resurgent Taliban bent on murdering Pakistanis in broad day light. If Nawaz Sharif is sincere about Pakistan, he should respond to Zardari's call positively. I am sure by now you have read on the mental state of Asif Zardari. NS is wise to step back, it is not just about unity. It is about honoring agreements and that Zardari has been incapable of showing. Well, zardari have stated that judges can be reinstated by constitutional amendment,which is only fair. If nawaz sharif combative approach is taken NRO reconciliation things will b out of window and Musharaf could be tried and hanged which will be messy and zardari thrown to jail. NS approach is cheap politics to hog the full political spectrum and vanquish zardari and ppp once and for all. NS is not suited for counter-terror too, he is banking on the rightwing-extremist vote bank which will slowly kill pak 's remaining civil institutions and bring american firepower indiscriminately roaring down. The latest reports indicate that Rahman Malik, on behalf of Pakistani government, has offered to observe ceasefire with Taliban during Ramadan. I think it's a bad move. 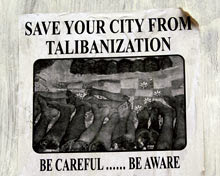 Given the history of ceasefires/peace deals with the Taliban, I fully expect that they will use the hiatus to regroup and rebuild to unleash a new, unprecedented reign of terror on the streets of Pakistani cities after Eid.